Can You Get A Quickie Divorce in Manchester? We all read in the newspapers about celebrities and their quickie divorce hearings and yet if you pick up the phone to speak to a divorce solicitor about a quickie divorce in Manchester you are often told that the divorce could take up to 8 months. As we are in the 21st century, how can the production of a piece of paper to grant you a quickie divorce in Manchester take up to 8 months? Evolve Family Law solicitors have the solution and can offer a way to get a quickie divorce in Manchester. How is this possible? Well, the reason it used to take so long for traditional divorce solicitors to complete a divorce was primarily down to the divorce court systems. So even if a client chose to instruct the quickest divorce solicitor in Manchester it would still take up to about 6 to 8 months to complete the divorce proceedings. That is now not the case if you chose to instruct a divorce solicitor, such as Evolve Family Law, who have signed up to being part of a new government pilot scheme to modernise the process of divorce proceedings through online systems to create a quickie divorce. Prior to this new scheme, we wrote a blog entitled Guide to a Quickie Divorce but the divorce system is being revolutionised before our eyes. At present, there are only 17 firms of divorce solicitors in the UK that have signed up to the new government pilot scheme that aims to make getting a divorce easier and quicker. Some solicitors have reported that it can now take as little as 8 weeks to get divorced though other solicitors, such as Evolve Family Law, are urging caution and saying that until more divorces are processed through the new online pilot scheme it is too soon to say that the time to get a quickie divorce in Manchester has reduced from 8 months to 8 weeks. The divorce pilot scheme, which has been available online since May 2018, allows divorce solicitors who have joined the pilot scheme to apply for a divorce online by uploading the divorce papers digitally to a divorce judge. The use of online technology has dramatically reduced the amount of paperwork and time effectively wasted by divorce solicitors who are not part of the pilot divorce scheme in waiting for paperwork. However the honest reality is that the new pilot will not enable a client to have an instant quickie divorce in Manchester as there are still certain timelines that the divorce court has to follow, such as giving the person responding to a divorce petition time to file a reply and leaving 6 weeks between the date for the pronouncement of the decree nisi before the divorce is completed with the pronouncement of the decree absolute. These court imposed timeframes means that it is simply impossible to get a totally quickie divorce. Evolve divorce solicitors are delighted to be one of a very limited number of divorce solicitors in Manchester who are working with the court service as part of the new divorce pilot scheme. The initial client feedback on the pilot project is delight that their divorce proceedings are streamlined and quicker. Can I Get A Financial Court Order to Divide The Money? If you can reach an agreement over who should get the house or pension then if you ask Evolve divorce solicitors we can obtain a financial court order for you as part of a second online financial remedy pilot project. That means that it is not just your divorce that is speeded up but your financial court order. That may not mean a lot to some people but for others relying on the obtaining of a financial court order to get their hands on a lump sum payment the speed of using a Manchester divorce solicitor on the financial remedy pilot scheme panel is immense. How Much Does A Quickie Divorce Cost? If you decide that you want to get divorced and ask Evolve divorce solicitors to start the divorce proceedings for you then the cost of the divorce is £1,222. That includes the Court fee of £550 and VAT and assumes that the divorce isn’t contested by your spouse and he or she lives in England. Be wary of other divorce solicitor quotes as they may not include the divorce court fee or the VAT. 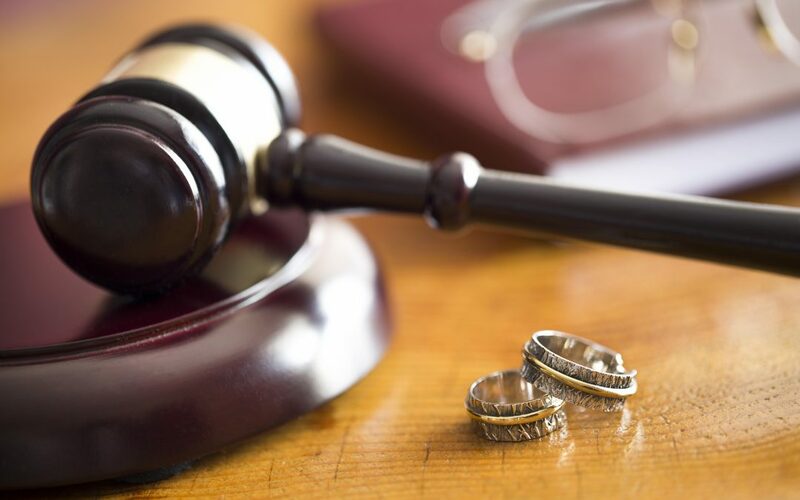 At Evolve divorce solicitors we think it is better to give a transparent all in divorce price so that divorce clients know the total cost and also that over 50% of the divorce fees will go to the government in either court fees or VAT payments. You can see our prices here.